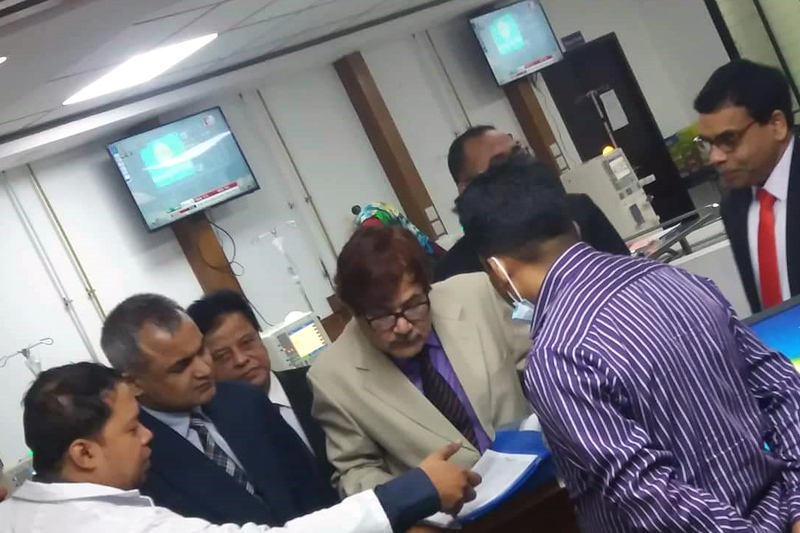 Mr. Muhammad Alkama Siddique, Chief Executive Officer of PPP Authority visited the first pilot PPP Project named Hemodialysis Center located in the National Institute of Kidney Diseases and Urology (NIKDU) at Sher-e- Bangla Nagar, Dhaka. Mr. Abul Bashar, Director General of PPP Authority, Mirana Mahrukh, Director of PPP Authority, Professor Dr. Md. Nurul Huda Lelin, Director of NIKDU and Mr. A. R. Sarkar,Country Head & Director of Sandor Dialysis Service Bangladesh Private Limited , which is the Private Partner of the Project accompanied him. The center has started its journey on July 2017. Everyday around 150 to 180 patients receive the dialysis service from this center. The beneficiaries are highly satisfied with the price and quality of the service.